There's no better place to enjoy the summer than right here in California. Abundant beaches, parks, museums, and historical landmarks all rest in the ocean's cool breeze. If you've found your new home in the luxury San Pedro apartments for rent, then here's a list of activities that will help make your Summer complete. When the Summer heat is in full effect you can cool off with this dazzling display of water fountains. Over 400,000 gallons of recycled water are used in this colorful and vibrant array of water streams shooting up to 100 feet in the air. The two main fountains are synchronized to music and lights to make this a Summer wonder. Cool off even more by heading over to 2nd street for their interactive fountain. There's nothing like basking in the cool mists created by these enormous fountains. This aquarium has it all, AC included. Check out the open ocean exhibit to see an array of aquatic life from the neighboring Pacific Ocean, or the sandy beach and rocky shore exhibits to learn about the creatures the live on the edges of California. 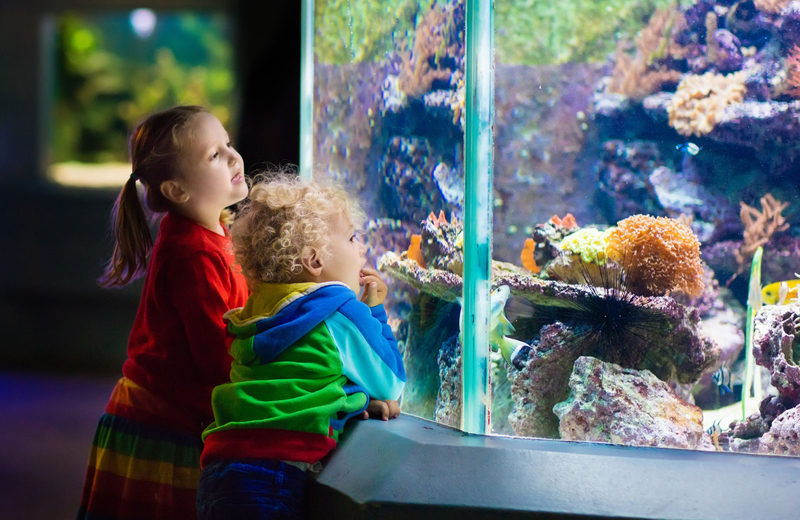 If you happen to have children, there are plenty of educational programs for them during the summer but you don't have to be a kid to enjoy this fantastic Aquarium. It isn't Cali without the beach scene, and White Point (or Royal Palms) makes the cut for great beaches. There are swimming and even diving areas, tide pools, and areas for picnicking as well as a playground. With a slew of amenities to make a day at the beach all it needs to be, all you have to do is show up. Have you ever cast you line out on the waves of ocean deep? This company will take you out on one of their ships to do just that. There's no better fishing in the country than off the West Coast, and a large variety of fish just waiting to be caught. If fishing isn't your thing, this company also offers whale watching tours. Whether you're looking for a quiet picnic under the summer or a hiking extravaganza, Point Fermin Park can accommodate. Follow the westward trail for easy beach access, or take a guided tour of the historic Point Fermin Lighthouse. There's nothing like heading to the park on a warm, sunny day. This location is renowned for it's view of San Pedro, making a great evening spot if you want to catch the lights of the city. You can even see the luxury San Pedro apartments for rent! For those who love to stay active, there are soccer nets and basketball courts just waiting to be used as well as several uphill hiking trails. Those with furry members of the family can both take part in Summer fun at Knoll Hill Dog Park. The park is completely fenced in, allowing any dog to play leash free. Plus, they offer waste bags and covered trashcans to help maintain the park's well known clean appearance. This massive 1,200 foot pier extends deep into the San Pedro Harbor to give visitors breathtaking views of the waters from sunrise to sunset. Those who enjoy fishing can expect to catch mackerel, cod, and halibut at this hot spot. Bring a pair of binoculars and you may even see some ocean life out on the horizon. Back in the 1960's this company acted as a ferry between Catalina Island and the mainlands. Nowadays they host private parties, corporate meetings, and weddings as they take their passengers on a weekend sea life excursion. It's like a mini-Summer vacation. Founded in 1998, this non-profit acting group dedicates themselves to performing the famous works of Shakespeare. Their numerous plays are put on throughout the year, but it's the summer festival that really draws people in. Their performance is top quality and sure to please. This is a newer addition to the community. With multiple trails for biking, running, and walking, it's a great place to stay fit while enjoying the nice weather. There are also two bocce ball courts, as well as numerous benches for a nice picnic. This historical museum is dedicated to the history of the U.S. Army bade, Fort MacArthur. Offering visitors several exhibits that detail the bases' history, this museum also includes exhibits about harbor defense and the Pacific Theater Campaigns. It's a great spot to learn a little more about the history of the area. This gorgeous bit of shoreline remains untouched by the developments of the city. On occasion, you might even catch a baby sea lion sitting on one of the rocks! Complete with cliff diving, tide pools, and one of the best spots to watch the sun set, this is a summertime must near the luxury San Pedro apartments for rent. Take a trip out on the Magician and get ready to go diving on a diving day trip extravaganza. These experts will make your experience one to remember, and the food they serve in-between dives is absolutely delicious. With more accommodations than any other diving charter in the area, this is an A+ Summer experience. These dog friendly trails offer scenic views of the ocean and the large sunflower field the grows alongside it. The hike is a relaxing one, leading you all the way down to the beach for even more summer fun. While you're there, you may want to play a few rounds at this iconic golf course if you are a fan of the sport. Putting you at the center of all the summertime fun found in San Pedro is The Vue, a new series of upscale apartments. Luxury, comfort, and impeccable style come together to create a new definition of high end living. Thoughtful designs, abundant amenities, and a host of exciting exciting extra combine to create the perfect living space. The Vue isn't just a space to live in, it's a new place to call your home.